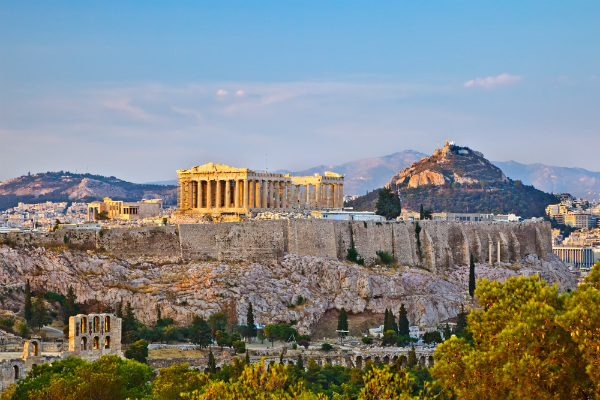 A major centre of ancient Greek history and mythology, Athens is the oldest city in Europe however, new art and leisure precincts along with revamped hotels and trendy shops are springing up all over. The historic centre too, is seeing significant changes: cars have been banished and ancient UNESCO sites like the Acropolis are now linked to an attractive pedestrian promenade. Backpackers use Athens as a useful and cultural stop-over before boarding ferries from the port of Piraeus to the Greek islands. While you’re there, you can enjoy some of the best Greek food around in Athens’ Michelin-starred restaurants, Spondi and Funky Gourmet, as well as in local tavernas and a number of great vegan and vegetarian restaurants. Solo women travellers are reasonably safe in Athens but watch out for petty crime in crowded areas. If you would like some company during your trip, why not join a meet up to share your Athens experiences with other travellers? Getting about is easy and cost-effective using the city’s metro, bus, tram and train services. Public transport is cheap and far-reaching but it can often get crowded. If you prefer the comfort of a cab, download the Uber app so that you have it ready to order a ride to anywhere in the city. Athens is gay-friendly so you can feel free to express yourself in most public places, Athens having the usual progressive attitudes towards the LGBT community to be expected of any other EU country. Despite being a sightseeing city, Athens boasts plenty of great beaches, dotted along the southern and the north eastern Attica peninsula. From Glyfada to Cape Sounion you will find well organised beaches along with several secluded coves for perfect days in the sun. Much of Crete’s appeal comes from its varied mountain terrain ranging from gentle canyons to plateaus dotted with windmills. Hike through the 16 kilometre Samaria Gorge, Europe’s longest, or amble through Zakros-Kato Zakros, the site of a former Minoan palace. For more ideas, the Greek Mountaineering Club of Hania is full of information on hiking in Crete. For a bit of culture head to the outstanding, recently renovated, Heraklion Archaeological Museum in Iraklio or the incredible Palace of Malia. To get around, public buses operate fairly regularly and reach much of the island. Great beaches are also main attractions on Crete and there are plenty to suit all kinds of tastes on the island. The Telegraph gives the lowdown on some of the best in Crete. When it comes to food, Crete is a stellar performer. Nearly every village has a signature cheese with graviera often cited as the best of a very good bunch. Pies, fried snails, pork and lamb are all worth a try as well in just about any of the local restaurants. There’s also a smattering of vegetarian and vegan restaurants available. If you are island-hopping around Greece, Crete can often provide the perfect stop over as well as starting point due to its two large international airports at Heraklion and Chania. Favourite island hops from Crete are to Santorini, Rhodes and Karpathos. Backpackers won’t be short of budget hotels and hostels t stay at during their stay on the island. Considering a trip abroad to Greece or Europe? Find out which level of European travel insurance makes sense for you and your trip.